The Last of the Firedrakesby Faarah Oomerbhoy is a tale about a girl named Aurora. Aurora had been with her adoptive family since she was two years old until their fatal car accident and now she’s living with her adoptive father’s brother and his family. Her aunt is rude and lets Aurora know often that she’s not cared for and her cousin gives her the same treatment. The family visits an estate where Uncle christopher gives Aurora away to a dangerous looking man, named Lord Oblek. Lord Oblek takes her back into the tapestry that he came out of. Aurora is taken to a prison and placed in a pit with other prisoners who are scheduled to be executed the next morning, Kalen and Finn. The two of them are Fae and each has a distinct personality. The Black Wolf, Rafe who is a mage, saves all three from the prison confines. When they arrive at their safe meeting place, Rafe discovers who Aurora truly is as she tells him how she came to be a prisoner. Aurora is the rightful heir to the kingdom that Morgana stole from the king and queen when Aurora was two years old. Aurora needs to stay hidden or Morgana will have her killed just as she killed the king and queen all those years ago. The safest place for Aurora, according to Rafe, is with her granduncle Duke Gabriel Silverthorne. Once she has met the duke and his family, Aurora is sent to attend a magic school, Evolon, to receive magical training. On the way she meets with a thousand-year old Fae that changes Aurora’s appearance so Morgana will not find her. Aurora now goes by Rory and she’s enjoying and learning from her classes but she’s still trying to get used to her plain appearance a little at a time. This book has many similarities to Harry Potter and the Lord of the Rings but stands well on its own merits of dynamic characters, increasing plot twists and conflict. The setting is described beautifully and The Last of the Firedrakes is a wonderfully told fantasy worth 5 stars! 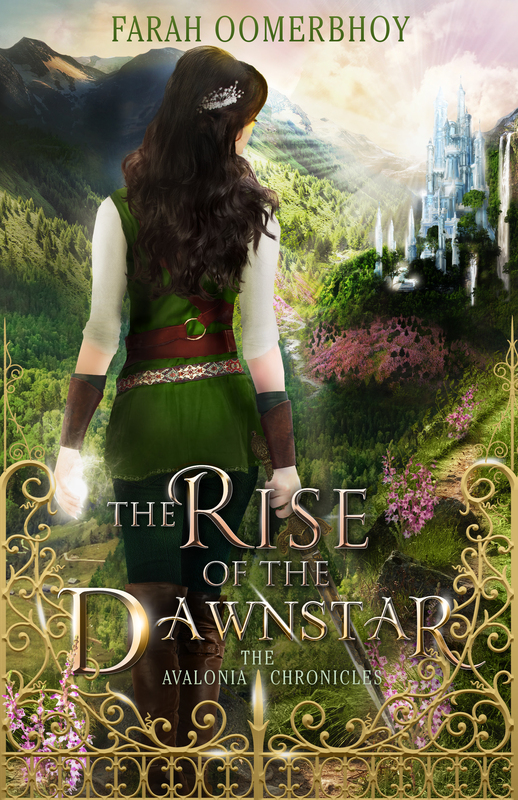 The Rise of the Dawnstar by Farah Oomerbhoy was fantastic! Wow, this sequel to the Last of the Firedrakes really packs a punch! Full of action, adventure, intrigue and plot twists, this story continues to pull me further into its world. Love, loss and uncovered secrets built intense relationships and kept my interest. I can’t wait for the next book in the Avalonia Chronicles. 5 stars! Fires of Invention by J. Scott Savage is the beginning of a fun steampunk series. Trenton has always tinkered around with machines not realizing how much he enjoys it and how good he is at mechanics and engineering. He’s going against community rules- no inventing or improving technology. The authorities believe technology is dangerous and will destroy Cove. Trenton finds an interesting device when he fixes a machine and his life changes after that. He meets Kallista and together they dive into the greatest mystery surrounding their community. Fun and adventurous, this steampunk fantasy moves at a quick pace, 4 stars. Crazy House by James Patterson and Gabrielle Charbonnet begins when Cassie can’t find her twin sister Rebecca and is desperately trying to figure out where she is. Meanwhile, Becca is in a prison on death row with other teenagers. The cover states similar to Hunger games, but I feel like it’s a combination of that series plus Unwind by Neal Shusterman and the Program by Suzanne Young. The prison is full of people that fight against the main government. These people are known as Outsiders. 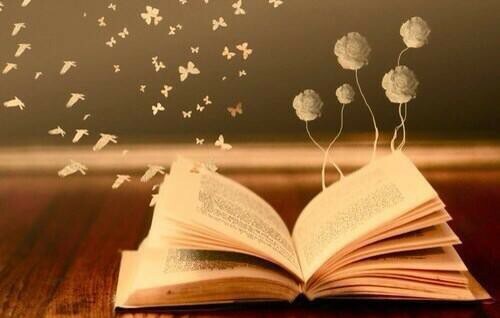 The story doesn’t flow and it’s told in spurts and a bit choppy. I give it 4 stars for a different approach to a dystopian concept. Thanks to NetGalley and Capstone for the opportunity to read and review Project You by Aubre Andrus! Just reading the Table of Contents made me feel relaxed and helped me look forward to reading the book. Full of de-stressing activities to help you take care of yourself and feel at peace. Self-care and self-help tips for almost every stressor plus feng shui principles, calming recipes and activities as well as energizing and replenishing tips are found in this book, along with happy music lists categorized by decade, ideas for starting a new hobby and the importance of laughing, ideas about a gratitude journal and a worry box and a cupcake for one recipe for a single serve treat. The book also has a section that explains the benefits of exercise and sunlight and sections for ideas for 30-day challenges to tackle goals, nature journals, inspiring songs list to energize, challenging yourself to build confidence and recipes and ideas for pampering yourself. Project You gives the reader help and resources for a variety of reasons. I am buying this book for the school library. 5 stars! *I received a complimentary arc of this book for voluntary consideration. Carve the Mark by Veronica Roth involves two peoples that have different beliefs and are enemies. Cyra ends up relying on and becoming friends with the enemy after he, Akos, is captured and forced into serving Cyra. Her brother thrives on hurting others and uses Cyra to accomplish this. Ryzek uses Cyra for everything he wants to gain through fear and intimidation. He wants to conquer all. Cyra and her servant Akos grow a friendship with trust and honesty which gives Cyra something she’s never experienced before. Her family has always been manipulative and cruel. Cyra and Akos are captured and the wound Ryzek gives Cyra made me physically sick. Revenge is all that Cyra wants against Ryzek because of every harm he has ever inflicted on her. This first book in the Carve the Mark duology builds the world setting and the character’s backgrounds and ends with an unfinished rebellion, leaving me ready for the sequel. 4 stars for this science fiction fantasy. Unlocked by J. D. Stonebridge begins when a baby, Charlie, is rescued from a car accident. The couple that rescued Charlie also raises her. Charlie’s dialogue is staunch, stark, boring and she talks like she swallowed a textbook or a thesaurus. The dialogue becomes more smooth as the story progresses and the plot begins to take shape. The Unlocked is reminiscent of X-men because of the institute and powers, but the students aren’t born with their powers. The powers are unlocked with a syringe and a shot of a chemical mixture. Charlie learns of her twin sister because of the institute and she discovers that she and her twin sister Jeanne had their powers as long as they can remember and didn’t need to be unlocked. A sinister plot and deception are revealed as things spiral out of control. 4 stars for this science fiction mystery.